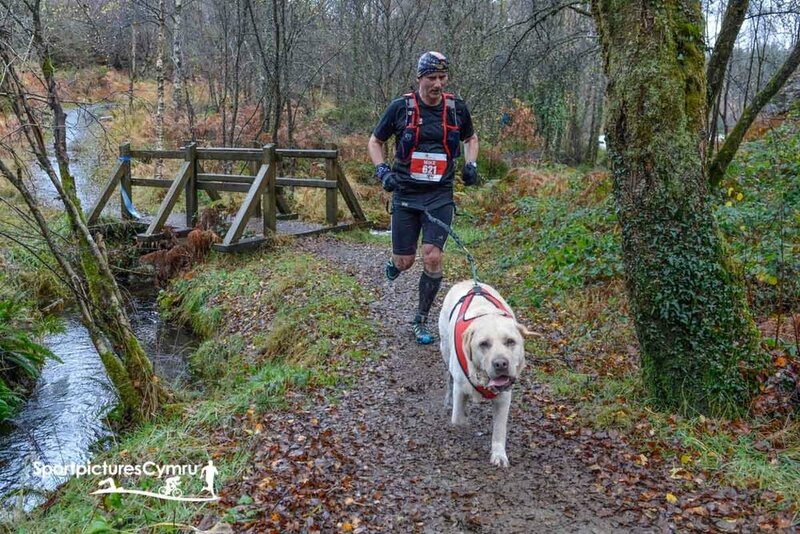 We are delighted to welcome Canicross runners to the Betws-y-coed Trail Challenge. The Canicross is a separate 10k and 5k event with its own categories starting 30 minutes after the main races. The Canicross starts at 1:30, 30 minutes after the other races start. If you would like to enter the Canicross with your dog, please ensure that your dog is fit and able to run the distance, that he/she is wearing a canicross harness correctly fitted to allow them to breathe easily, and that runner and dog are attached by a bungee and waistbelt. Help and advice will be available on the day, or if you have any specific canicross questions in advance please contact us at K9Cymru@me.com and we will assist. (2) Several Dog Control Orders are in force in Betws-y-coed - more information is available on Conwy County Borough Council’s website. Water will be provided at the finish in the Waterloo Hotel car park. A “stick and flick” policy operates throughout the forest. Please ensure you clean up after your dog.